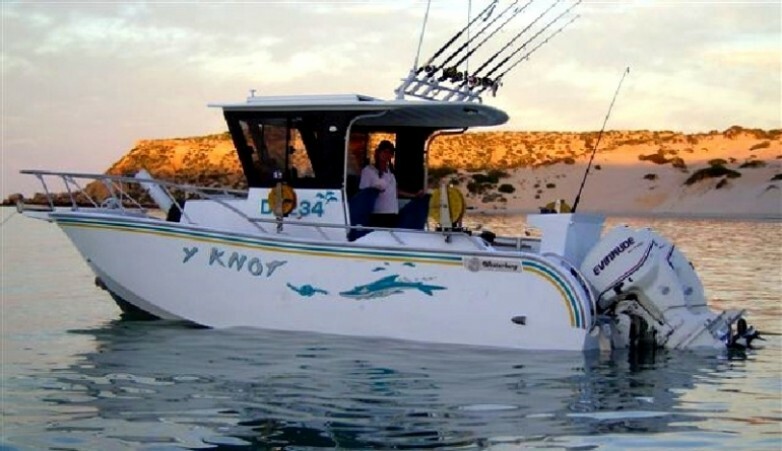 Price is in AUD for the flat-pack-aluminium kitset and is ex-factory in Perth Western Australia. Please contact your preferred transport company with the delivery pack dimensions from the bottom of the page. 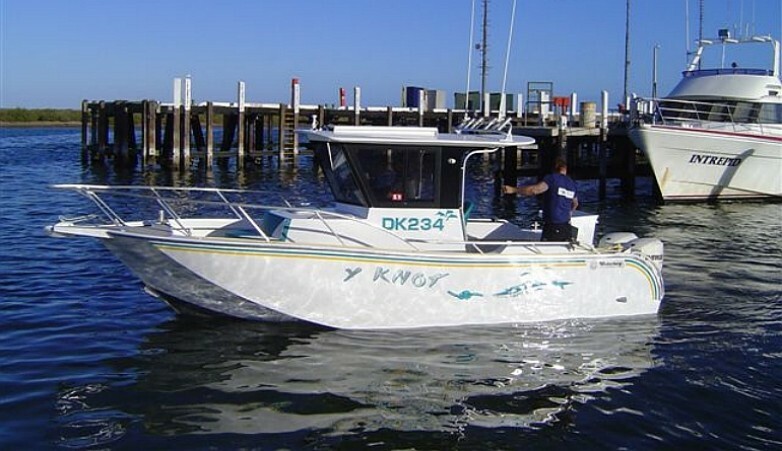 Our Marine Kits includes ALL of the vessel’s structure aluminium and very comprehensive drawing set to make building simple. We also provide a USB thumb drive with step by step photos from successful builds that you can refer to. 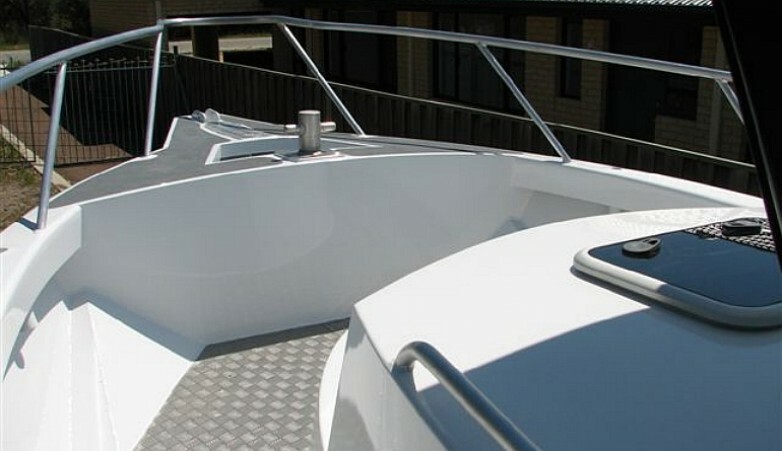 Ask us about assembled Marine Kits, supplied as a complete welded aluminium hull and superstructure on a transport cradle, ready for painting and fit-out by yourself or your preferred shipyard. 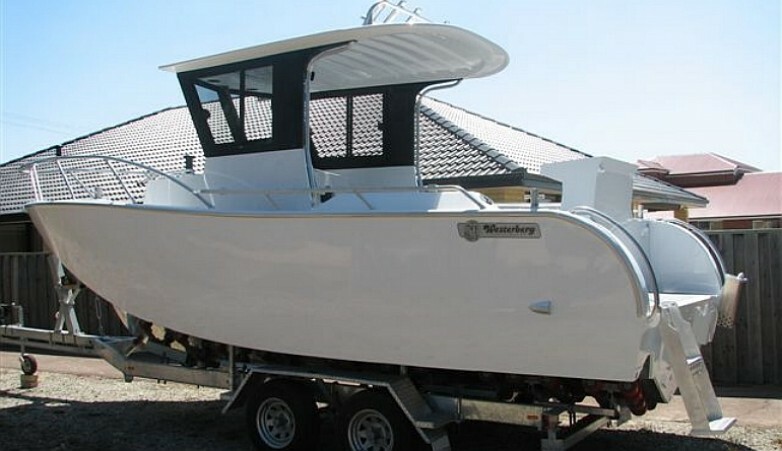 Please call us on 08 9437 1319 for more information. 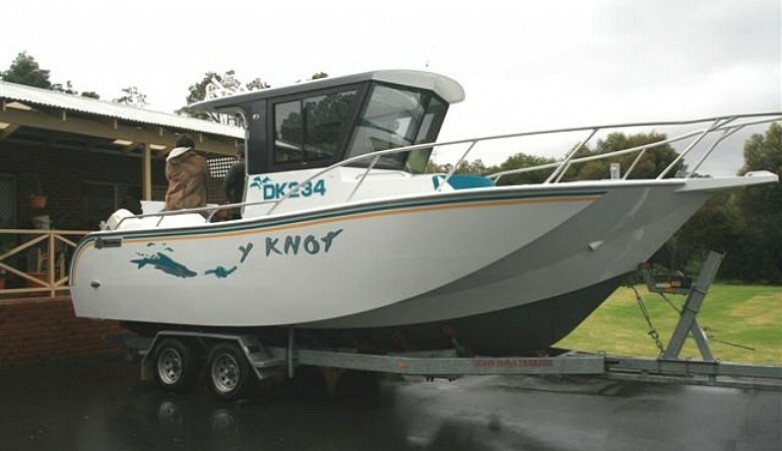 The “Y Knot” was a custom layout based on our fantastic Abalone Air Rider hull, for Ray and Deb Lederer of Carnarvon, Western Australia. 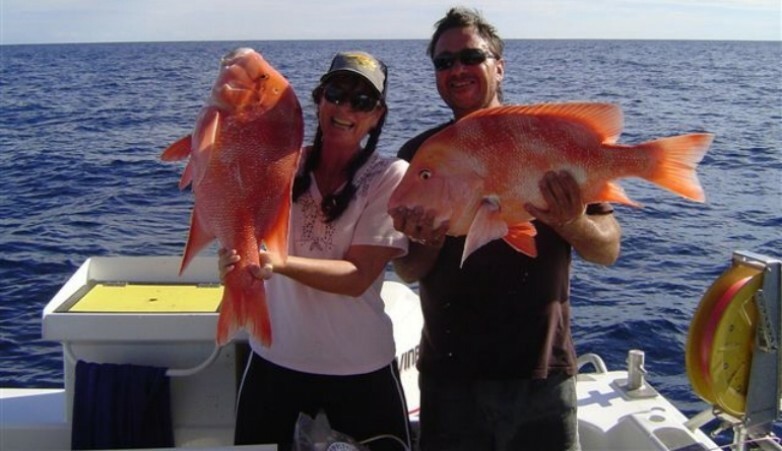 Ray and Deb are incredibly passionate about their boats and their fishing as you will see in the gallery photos. 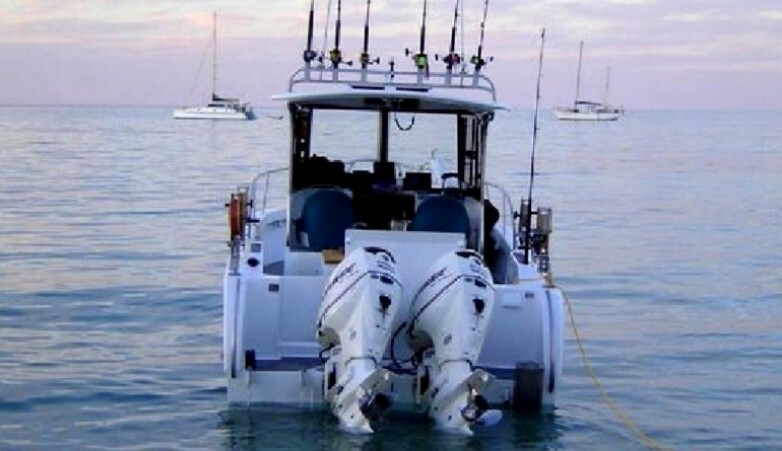 After much discussion the boat was fitted with a pair of 200HP Evinrude E-Tec engines giving an incredible 47 knots flat chat and economical cruisng at 25+ knots. 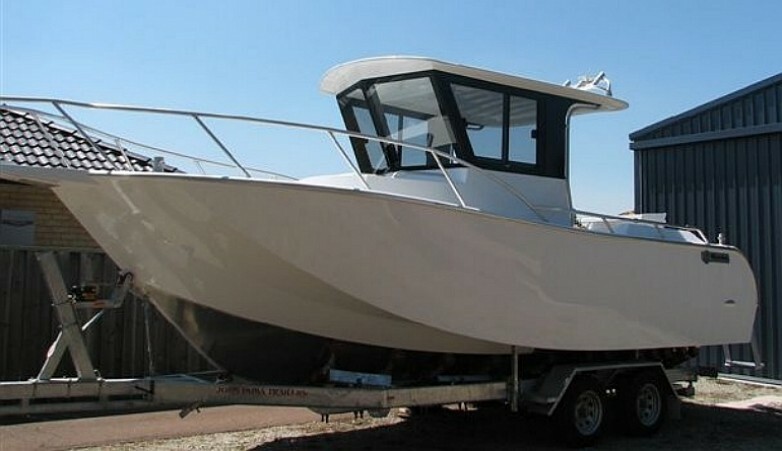 Ray has stated that “this is the best riding and sea keeping vessel he has ever owned“. 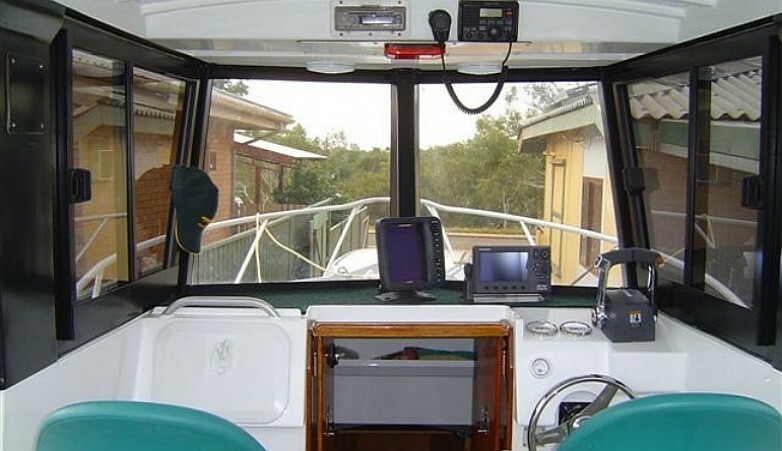 The sleeper cabin is awesome as it allows two adults very comfortable sleeping space, with heaps of side locker storage for the overnight ‘camping’ gear. 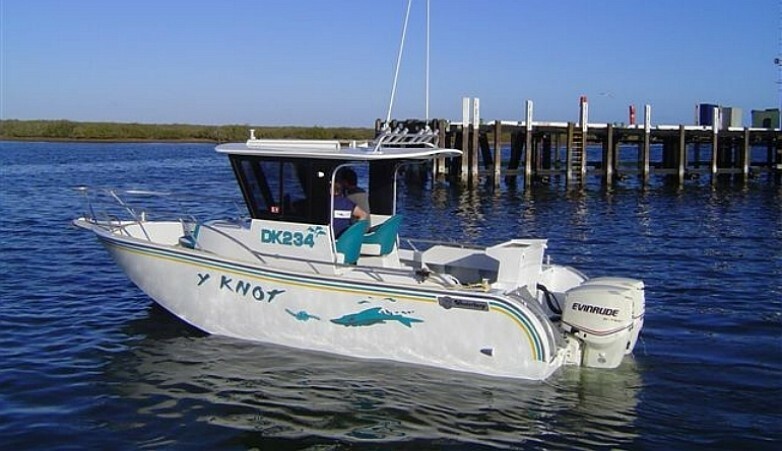 The Air Rider is the BEST way you can go offshore fast, in comfort and return home safely with your fish quota.